Free application that connects your EasyStore with your MailerLite account. Customers email automatically added to MailerLite when they enter detail in subscribe form. Create targeted email campaigns based on buying behavior. Affordable Email Marketing Software for Small Business. MailerLite is easy to use web-based email marketing software. After integrate with EasyStore, you are able to create and send email newsletters, manage subscribers, track and analyze results. 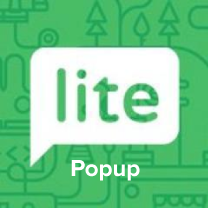 Sign up a free acount or Login into your MailerLite account. Go to Webforms, create a new Popup Form and select your subscriber group. Design your popup subscriber form. Get organized! Upload your subscribers and let us handle the rest - unsubscribes, bounces and more. Design signup forms for your website using our simple Webform Builder. Make them fit your brand and style. Subscribe forms are highly customizable to match your brand needs. Using our simple to use editor you can change anything from backgrounds to different theme settings. More than 20% of all newsletter subscribers read emails with their mobile devices. Fact! MailerLite is one of the first Email Marketing Services with mobile friendly email newsletter templates which are totally responsive. The results look fantastic, even on small screens. Managing your files when creating email campaigns can be difficult. Our file manager makes the whole process a breeze. We offer a range of pre-designed email templates to help you deliver the best looking content. Track what your audience is interested in. Do they tend to click on pictures more than buttons? Click map allows you to gain insight on how your audience is interacting. You can use MailerLite to create and schedule automated emails like welcome messages, reminders, birthday greetings, and other date-based campaigns. Send single emails or a sequence over time.